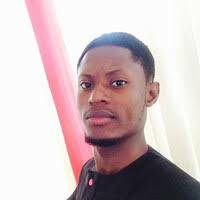 “Temitope” is a technology/education enthusiast with an entrepreneurial mindset. He is a professional with over 10yrs of cognate experience whose high creative expertise is based on his technological and business background in ICT, Start-ups, Media, Higher Education and Logistic Operations. This enables him to strategise, design, build, control, identify, direct, evaluate, regulate and advice at everything about customer relationship, project management, technology, customer services management, process management, education administration, operations management, student services, service management, start-ups, people and organisational development. ‘Temi’ as fondly called has a solid ethic background with a professional obligation and responsibility as well as an exceptional approach to deal with people. Above all, he wants to help start-ups, organisations and people perform better, faster, achieve a result and be profitable. He is currently a doctoral researcher in education, an MBA degree holder and a certified IT Service Management Expert who hopes to gain knowledge on a daily basis in all areas of business, management, education, start-ups and technology now and future.